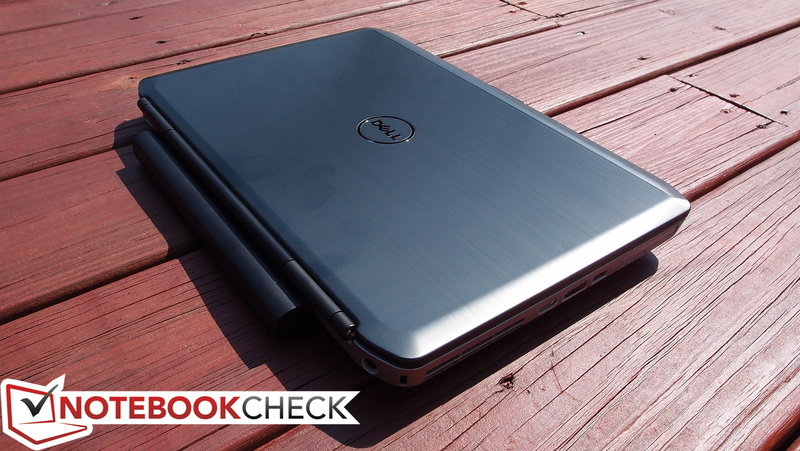 Dell’s Latitude models always put practicality first. With a perpetually no-nonsense design and solidity that rivals even the fiercest opponents, it’s one of the first places many businesspeople look when considering a primary machine. And rightfully so; not many notebooks exist which hail from such a glistening lineage of enterprise-grade dependability. Two weeks ago, we brought you our full review of the newest member of the Latitude E5XXX family, the E5530. In it, we praised its impressive performance, stable construction, great battery life, and largely unmatched input devices. We were pleased by the inclusion of two USB 3.0 ports, an upgrade which the E5430 also boasts over its predecessor (the E5420). Meanwhile, we had our reservations about the E5530’s hefty weight, noise level, and subpar fit and finish. The distinction between the Latitude 6XXX series and the lower-grade 5XXX series is certainly evident in a side-by-side comparison, with such luxury MIL-STD 810G-tested amenities as magnesium alloy wrapped corners and heavy-duty hinges surrendered in exchange for a lower price tag. But how much do such omissions really affect the Latitude E5430’s overall appeal? 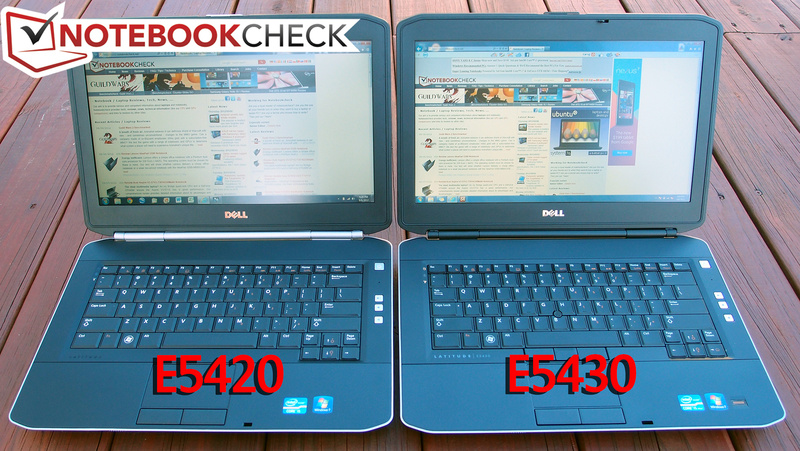 And how well does it fare in the wake of its last-gen predecessor, the E5420? 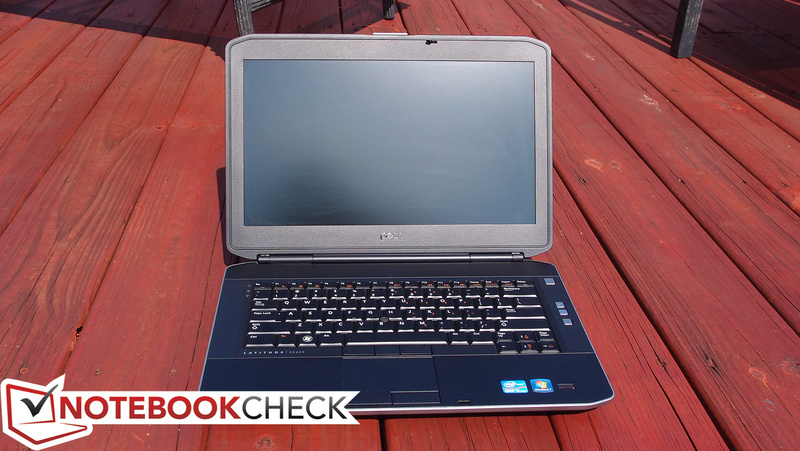 Our Latitude E5430 review unit features an Intel Core i5-3360M dual-core CPU with Intel HD Graphics 4000 (the same CPU as the E5530 we reviewed). 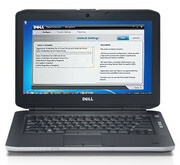 Similarly-equipped models configured to order from Dell are currently listed at around $1,100. 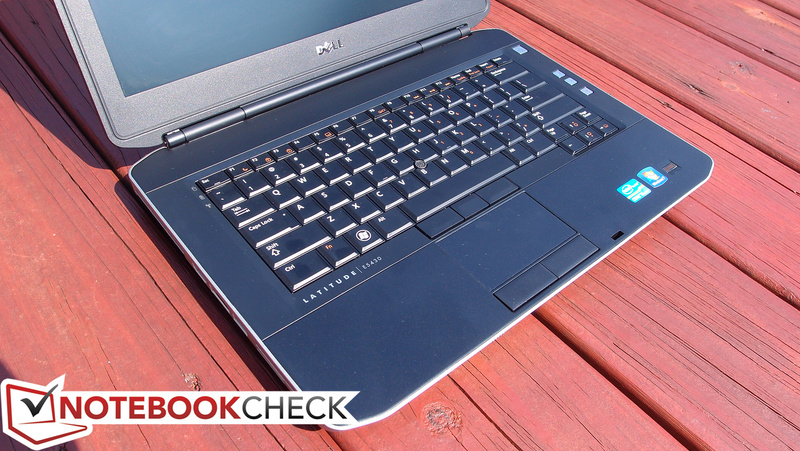 We put the notebook through its paces with the help of our usual array of intensive testing and benchmarks—so get comfortable and we’ll explore every nook and cranny of the E5430 right now. 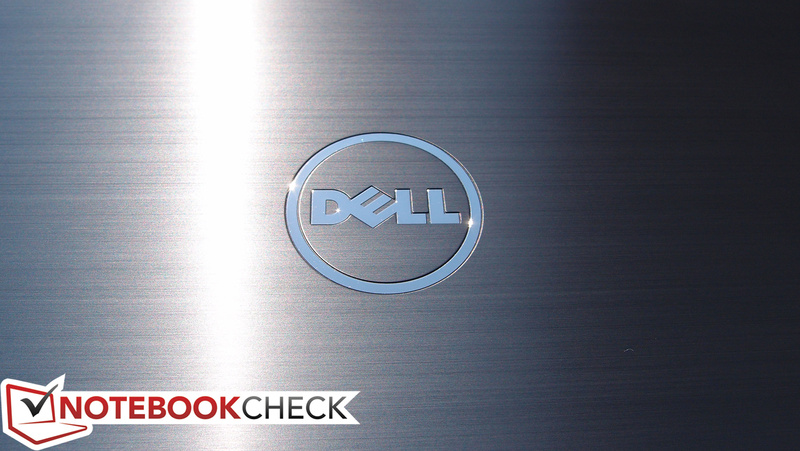 Embracing the mantra of preserving what works, Dell has left well enough alone in nearly every aspect of the E5430’s construction. You’ll find a virtually identical design to that of its elder (the E5420), and considering our overwhelmingly positive feedback for that aspect of it, there isn’t much room for concern with what largely qualifies as a component-level update. The first thing to note is that the casing, while again, not as heavy-duty or high-quality as the front-running E6XXX models, is still predominantly solid. The first clue the E5430 offers in this regard is its considerable weight. 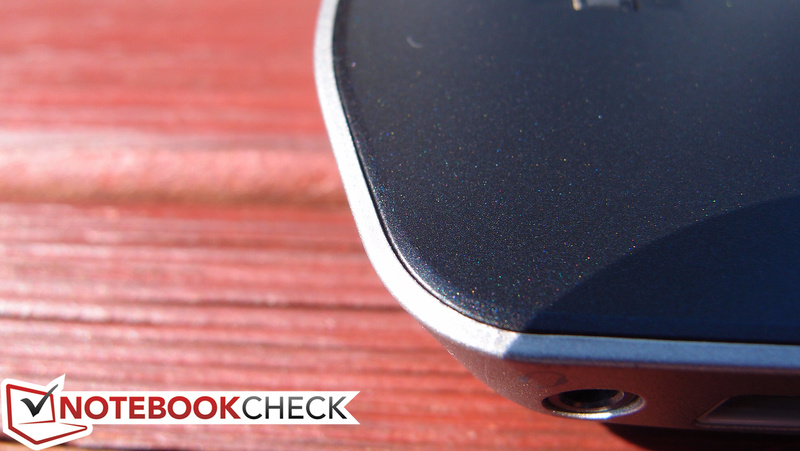 At 2.51 kg, this is a far cry from a featherweight ultraportable. Nevertheless, in conjunction with its reasonably-designed form factor, it is hardly restrictive in its size. It feels comfortable on the lap and is easier to use than many smaller notebooks in such a position thanks to an adequately-sized, flat palm rest—and this is in spite of the weight and size of the extended battery we received to boot. 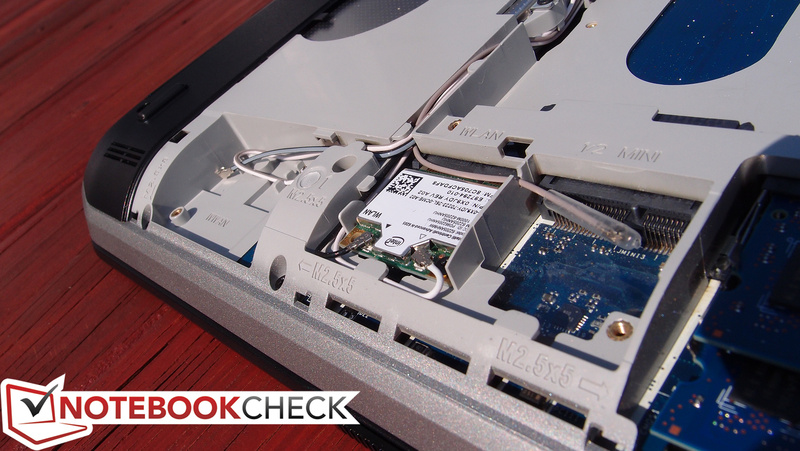 Very little flex is detectable anywhere apart from just above the optical drive, which is a typical and forgivable weakness of nearly every notebook. While our E5530 review unit was afflicted by some notable gaps between casing components, we are pleased to report that no such problems apply to the E5430 we received. The display lid is well-supported thanks to strong, metal hinges which are puzzlingly concealed by a deceptive plastic sheathing. As such, it’s hardly affected by any minor bumps and bounces. 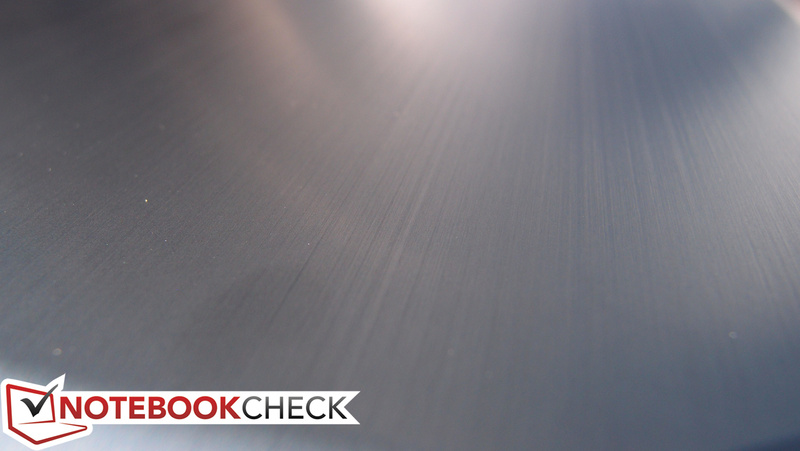 The lid itself is backed by brushed aluminum, featuring a chrome Dell logo centered amongst the understated uniformity. Apart from looking quite nice, it’s also very protective, preventing all but the slightest amount of distortion on the LCD panel even under reasonable stress, and also doubling-down with commendable scratch resistance. While fingerprints aren’t a major problem, they do require a bit of effort to remove once present. Elsewhere, the function-over-form philosophy persists. The various ports are rock-solid and firmly attached, and the zinc-plated hinge leaves little room for concern in spite of its singularity. The muted coloring and matte finishes throughout exude a subtle, down-to-earth, and thoroughly professional feel. We mentioned in our E5530 review the relative ease of accessing and replacing a broken LCD panel in the event of an accident. That benefit extends to the E5430, as well as the usual attention to all-round painless service and maintenance. 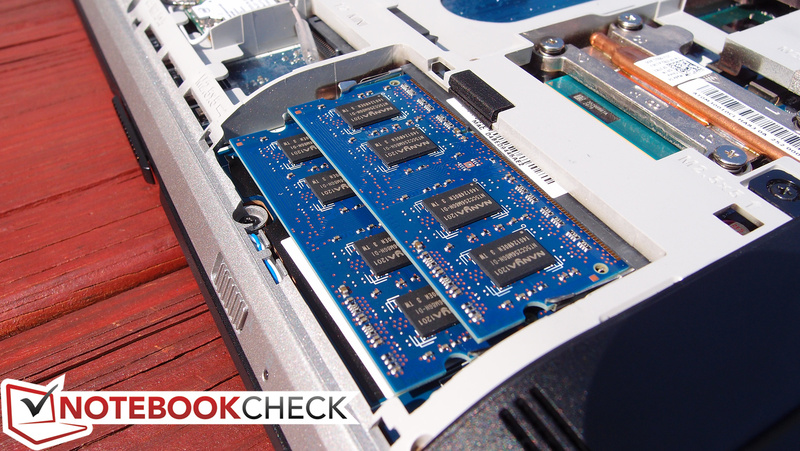 A single panel on the bottom of the notebook—secured by just two screws—conceals all of the common upgradeable/replaceable components, including the hard drive, RAM, WLAN card, WWAN card (if included), heatsink/CPU, and one empty ½ mini PCIe expansion slot. 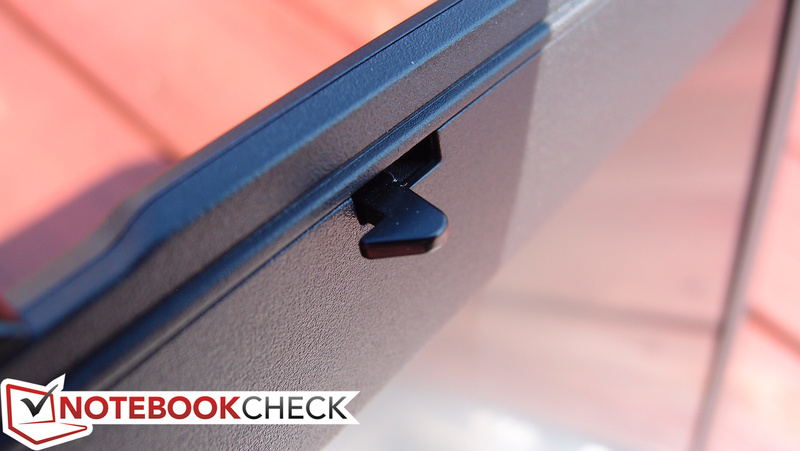 The slots are conveniently marked and most every screw used in the construction of the notebook is identical and thus interchangeable, making disassembly/reassembly a breeze. The Latitude E5430 provides a comfortable selection of expansion ports. Headlining are two USB 3.0 ports (one of which doubles as an eSATA combo), accompanying two additional USB 2.0 ports, for a grand total of four. Once again, the Firewire port has been dropped from the spec sheet as its appeal continues to wane in the face of USB 3.0’s sweeping superiority. Apart from a slightly less cramped left side thanks to the missing Firewire port, the arrangement of the ports is identical to that of the E5420. You’ll find USB 2.0, Ethernet, and charging ports on the back of the notebook, while the rest of the ports are squeezed along the sides of the unit. It isn’t terribly crowded unless literally every port is filled with a device, and in practical use, it’s even less likely that this would manifest itself as a problem, since larger, more obtrusive devices can always be relegated to the solitary rear USB port to provide some additional breathing room. Our Latitude E5430 review unit features a dual-band Intel Centrino Advanced-N 6205 network adapter, which supports Wi-Fi (up to 300Mbps; 2x2 antenna configuration) and Intel Wireless Display (WiDi). Like the E5530, you’re required to opt in for the Dell Wireless 380 Bluetooth 4.0 LE adapter at the time of configuration thanks to fact that the module is not customer-upgradeable post-purchase. The WWAN options are also identical to that of the E5530, meaning that you can choose a Dell Wireless DW5630 to work with any of the four major carrier networks. Again, bear in mind that for LTE compatibility, you’ll need to go the extra mile and acquire a capable adapter separately, as no option is currently provided for LTE on configure-to-order systems. The Latitude E5430’s optional fingerprint reader provides biometric authentication that is also remotely administrable if desired, while TPM 1.2 and smart card enrollment are available for an added cost. Meanwhile, self-encrypting hard drives, which are mainstays in many modern enterprise environments, are also an option. Dell also includes exclusive extensions of Intel vPro-enabled systems via iAMT 8.x. All next-generation Latitude and Optiplex machines are now supplemented by these extensions, which allow for state-of-the-art management capabilities designed to make life easier on system administrators. For instance, this brings to the table the option of group BIOS updates and remote control, scriptable BIOS management, and SCCM-governed battery health, warranty, and inventory checking—all regardless of power state. 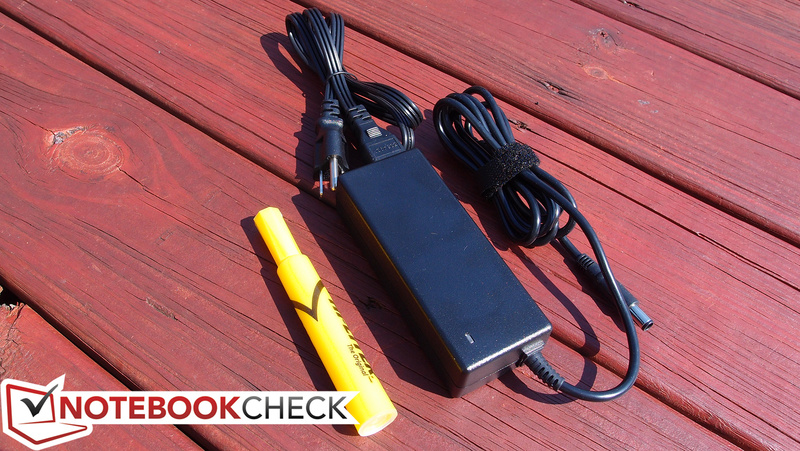 Our system included a standard-sized 90W AC adapter and practically nothing else. Any driver or operating system discs are optionally included for a small additional charge ($3 each at the time of this writing). While not as robust as Lenovo’s line of accessories, Dell’s Latitude accompaniments are more than sufficient and generally affordable. The available accessories include slice batteries and docking stations, two extras which are becoming more the rule than the exception with today’s business notebooks. 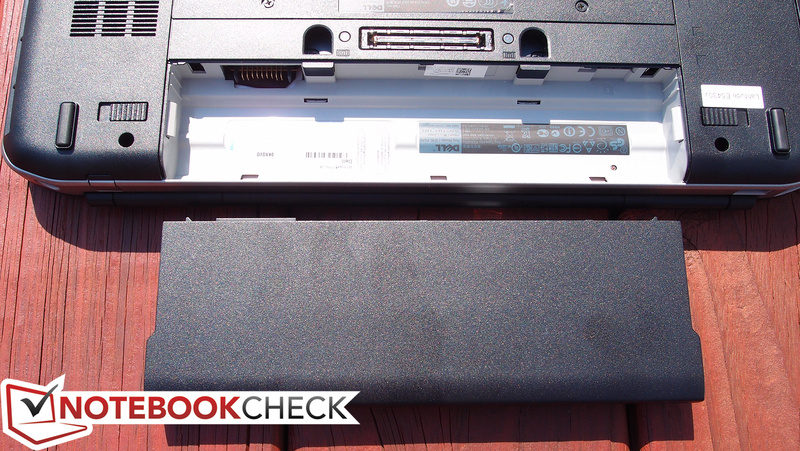 The slice battery attaches to the Dell Docking Station Port on the bottom of the notebook and offers 97 Whr (9 cells) of additional battery power. As far as docking stations go, the E-Port Replicator includes 6 USB ports, eSATA, Ethernet, Audio, VGA, DisplayPort, DVI-D, HDMI, and a monitor stand. The upgraded E-Port Plus includes all of that as well as another DisplayPort, DVI-D, and HDMI port, and even a Serial, Parallel, and two PS/2 ports for legacy compatibility. These are the same docking stations used across the entire E-series line of Latitude notebooks, meaning that the notebook is backwards-compatible. As in many other categories, the E5XXX line of machines plays second fiddle to the E6XXX series with just a one-year standard warranty with mail-in service (versus the 6XXX series’ three-year warranty). For peace of mind, the option of a warranty upgrade is always available, however, along with such premium extras as Accidental Damage Protection and ProSupport with Next Business Day Onsite Service. Two different keyboards are available for the Latitude E5430: a standard (still excellent) model, and a nicer backlit model. 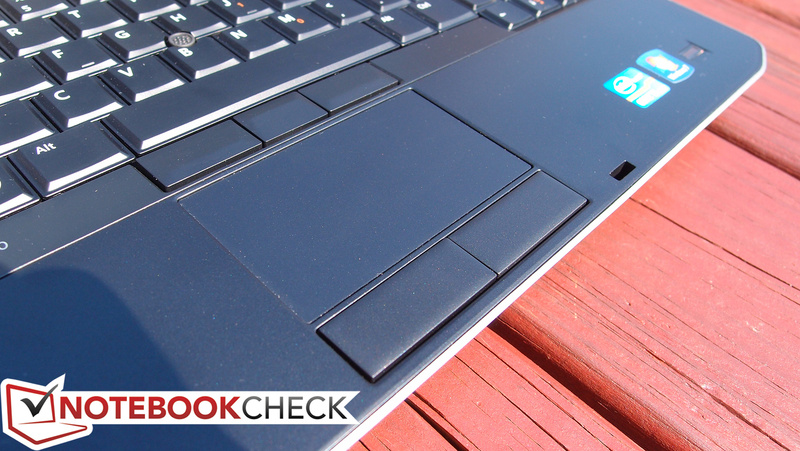 Our review unit included the latter, and as usual, we were impressed by its performance. 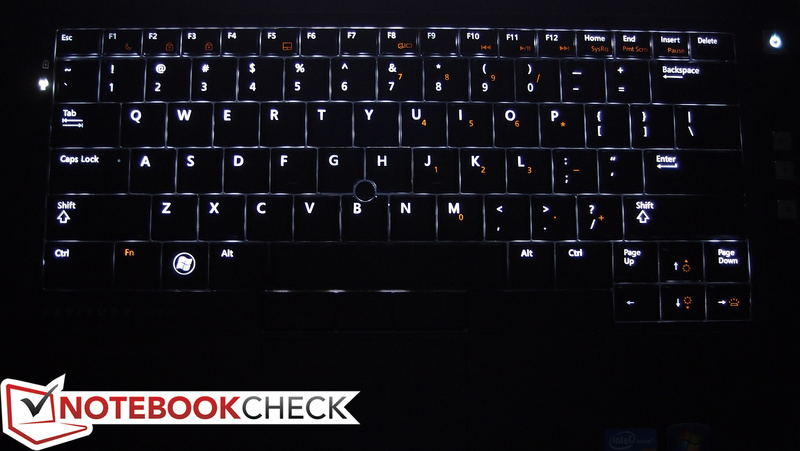 The backlit keyboard is not only convenient for low-light usage, but it actually features an overall better feel than the standard keyboard. In comparison, it has a softer touch with a slightly rubbery finish, while the standard keyboard feels a bit cheaper, is a little louder, and requires a bit of a heavier stroke to invoke a keypress. 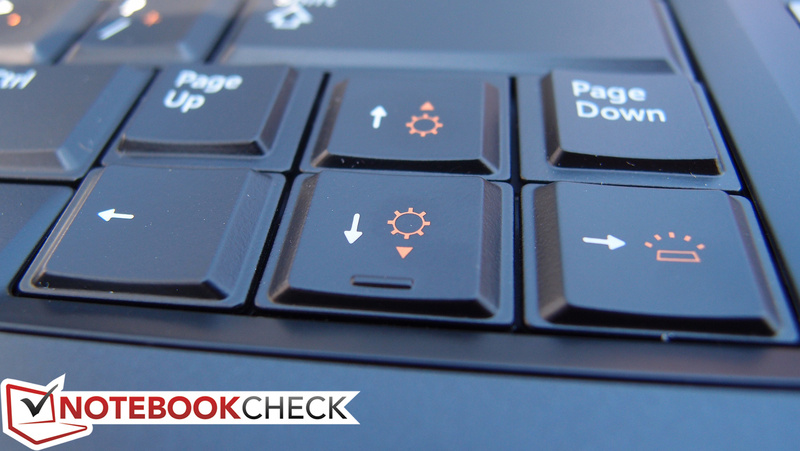 While both keyboards are very good, given the option, we would always recommend choosing the backlit keyboard for these reasons alone. 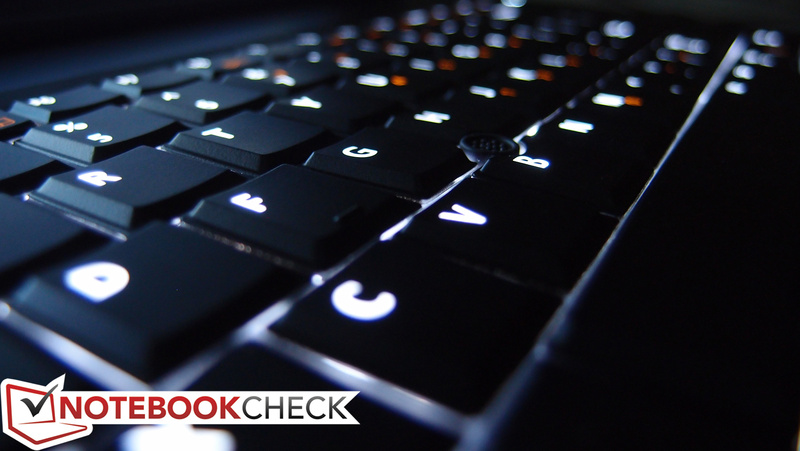 The backlit keyboard included with our review model is, in our opinion, one of the best keyboards currently available on any notebook. It features large-surfaced keys with a comfortable sense of travel and feedback that require only a reasonable amount of effort to depress. This renders typing a pleasure, so much so that I actually chose to write a significant portion of this review on the notebook. Also impressive, though to a somewhat lesser extent, is the touchpad. Manufactured by Alps Electric, it’s sufficiently large and features a smooth, frictionless surface that resists sticking. The two buttons below it are detectably hard plastic, but they’re nevertheless fairly sturdy and simultaneously quiet (once again, the premium-grade rubberized buttons are only available on the 6XXX E-series Latitudes). 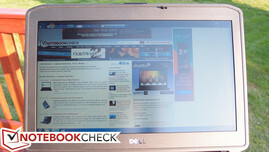 The included Dell Touchpad software provides additional customization over gestures, scrolling settings, sensitivity, and palm check functionality. 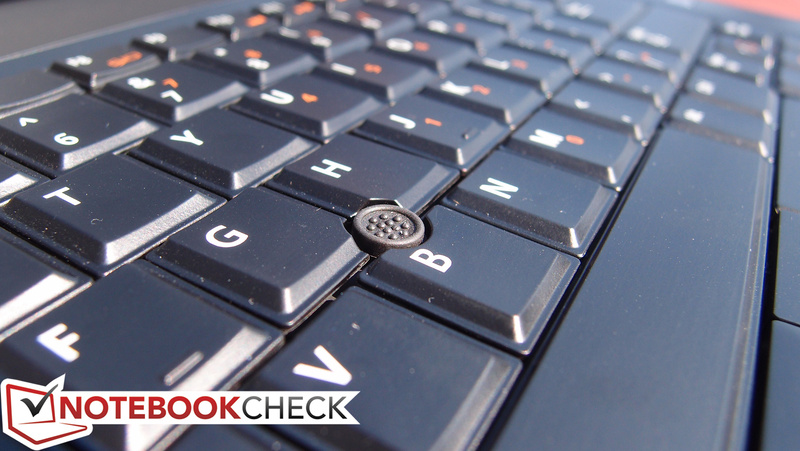 If you prefer a pointing stick, keep in mind that this is one other feature you’ll only find on the backlit keyboard—the standard keyboard is completely without one. The optional pointing stick includes its own three buttons below it (a left, right, and middle button) and feels comfortable to use. There are two different 14-inch display options to choose from on the Latitude E5430, both of which graciously feature a matte finish. The first is a standard HD (1366x768) display, and the second is an HD+ (1600x900) display with Premium Panel Guarantee. 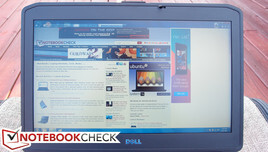 Our review model came equipped with the latter, and, as in typical fashion with most Dell models, the higher-resolution display is also quite a bit nicer than the standard one. Though we weren’t exactly wowed by the contrast ratio (more on that in a moment), the picture quality was nevertheless subjectively good and the panel is bright. Colors were a bit flat, however. Speaking of luminosity, the panel in our review notebook averaged a brightness of 286 nits, a respectable value that makes for comfortable use in nearly any lighting apart from direct sunlight. Most users are likely to opt for a brightness level of 9/15 or above for most environments, though the subpar contrast ratio (just 154:1) stifles the screen’s utility in some situations. This is due to the abnormally high black value of 1.94 cd/m². On the upside, brightness distribution is quite good at 89%—it’s hard to notice any variation in normal use. We mentioned earlier a general (subjective) lack of intensity of the on-screen color, and those sentiments were confirmed by our sRGB comparison tests. The 1600x900 upgraded panel in the Latitude E5430 only manages to achieve a sorely disappointing 60% coverage of sRGB, which is a far cry from any number that would appease a photographer. 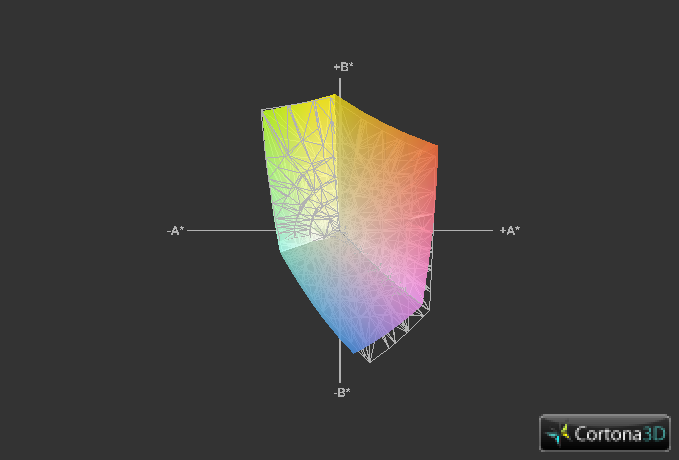 If color accuracy and intensity is of importance to you, the E5430 simply won’t cut it. On the other hand, the 15-inch Latitude models often feature premium panel options that cover closer to the entire sRGB spectrum, so it’s worth looking in that direction if this is a purchase consideration. Meanwhile, outdoor use is most certainly possible—and even comfortable in many situations—thanks primarily to the matte display. This is also a factor of brightness, however; our review unit’s HD+ 1600x900 premium panel was bright enough to view in most every outdoor situation, including direct sunlight under many circumstances. 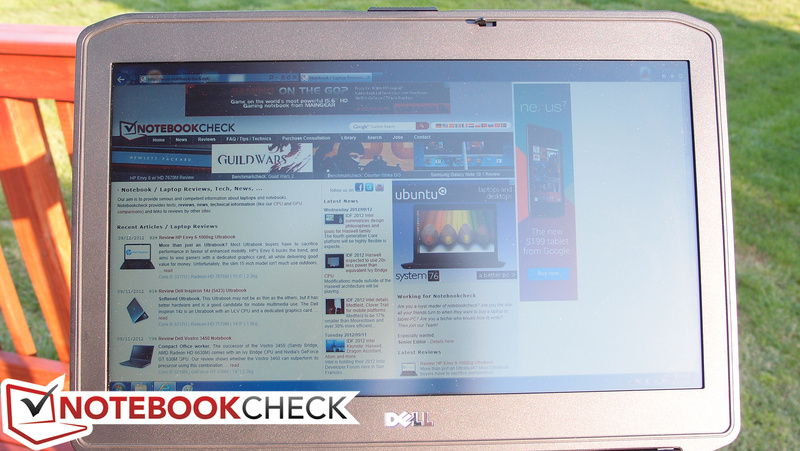 By comparison, the Dell E5530 we reviewed included a standard HD panel (27% dimmer) which barely sufficed for use in bright daylight. If the E5430’s lower-grade HD (1366x768) panel option is the same as that of the E5420 model, it would be a good idea to opt for the upgraded panel if you’re planning on any significant amount of outdoor computing. As with the rest of its brethren, the Latitude E5430’s display opens up all the way until parallel with the base of the notebook. 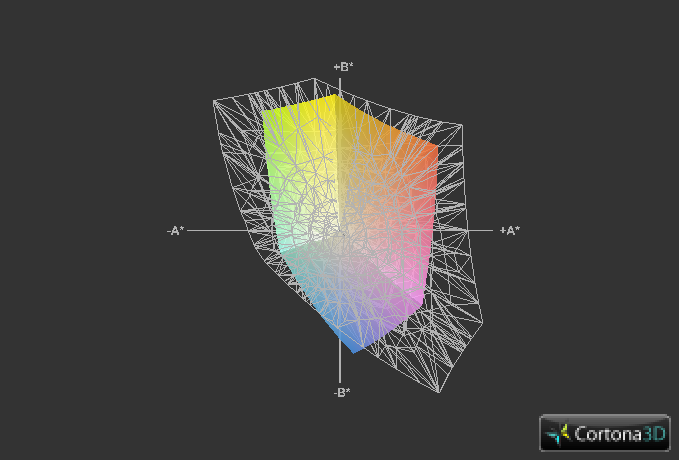 However, as is also often the case, the vertical viewing angles are very restrictive. They seem relatively unchanged from that of Dell’s lower-end panels (significant distortions in color and luminosity manifest beginning at around a 40 to 45 degree angle), a disappointing fact when some of the competition are offering luxury IPS panels. On a more positive note, however, it is at least possible to view the panel far from the side without too much color distortion occurring. 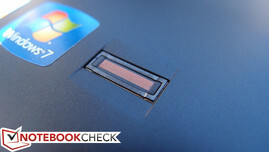 While other changes have taken place, the big story with Dell’s 2012 Latitude refresh is the inclusion of Ivy Bridge CPU options. Less pricey Sandy Bridge models are still available, and neither choice will result in a slow PC by any judgment. It’s worth noting that Dell also lists Intel Celeron Bxxx CPUs as an option, but as of this writing such a configuration isn’t selectable. Beyond that, the choices range from a Core i3-2328M Sandy Bridge CPU all the way to a 2.9 GHz Core i7-3520M, the latter of which is currently the fastest dual-core Ivy Bridge CPU around. 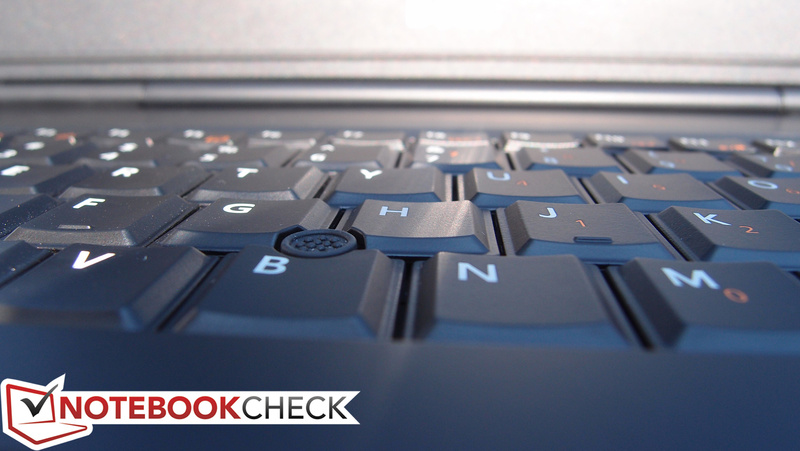 Our review model features a 2.8 GHz Core i5-3360M, which is only slightly slower than the top-end Core i7-3520M. This CPU supports Turbo Boost and HyperThreading, launching—when needed—into clock speeds as high as 3500 MHz (single-core) and 3300 MHz (multi-core). Sporting a 35 W TDP, it sips power just as efficiently as its predecessors while simultaneously turning in improved performance with its 22 nm architecture and 3D transistors. The Core i5-3360M also features an integrated Intel HD Graphics 4000 GPU. It’s no secret that we’ve been impressed with this GPU’s performance; it’s not only more powerful than its predecessor (Intel HD Graphics 3000) by around 30%—40% (depending on the application, of course), but it can even handle just about any business task with ease, manage to play many games at respectable (albeit generally lower-end) settings, and still succeeds in consuming less power than nearly any other comparable GPU. The impressive power efficiency is largely a result of its ability to heavily scale its clock rate using Turbo Boost from the base frequency of 350 MHz all the way to 1200 MHz when warranted. 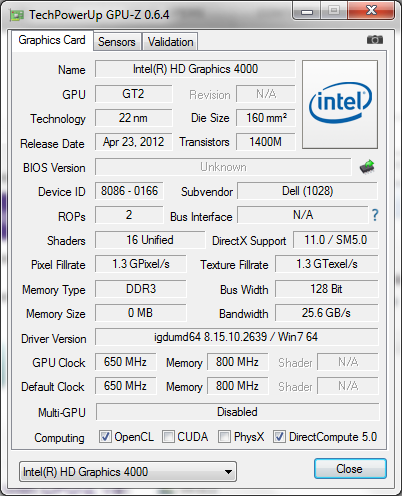 For more detail on the GPU’s performance, don’t miss our dedicated Intel HD Graphics 4000 benchmarks page. 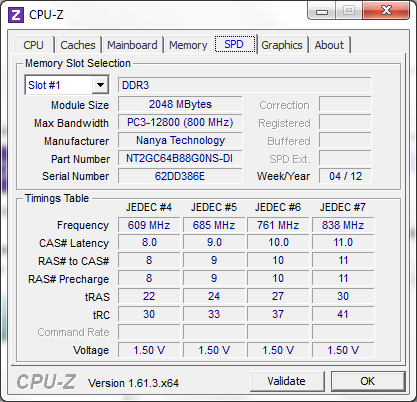 Two Nanya 2 GB DDR3-1600 RAM modules (4 GB total) came installed in our review unit, which is more than enough for most users. But with the extremely low prices of DDR3 RAM and the considerable ease of upgrading components in the Latitude E5430, it’s easy to justify a higher amount. 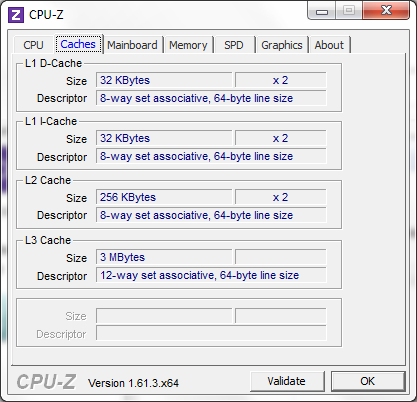 Fortunately, up to 16 GB of RAM is supported (8 GB per slot), so there should be no trouble reaching a sufficient number. As part of our usual extensive testing, we ran DPC Latency Checker on our E5430 test unit and encountered substantial latency (>4000 µs) roughly every 30 seconds. 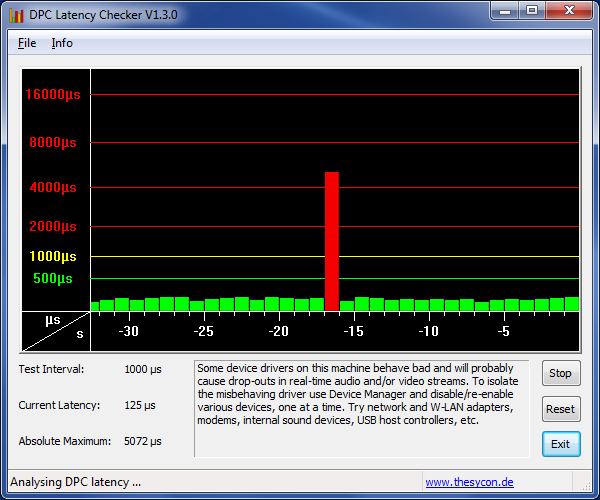 This latency was resolved completely, however, once the Intel 6205 WLAN adapter was disabled. Interestingly, on our E5530 review unit, we experienced comparable latency issues, but in that instance it was disabling of the Bluetooth module which rectified the problem. 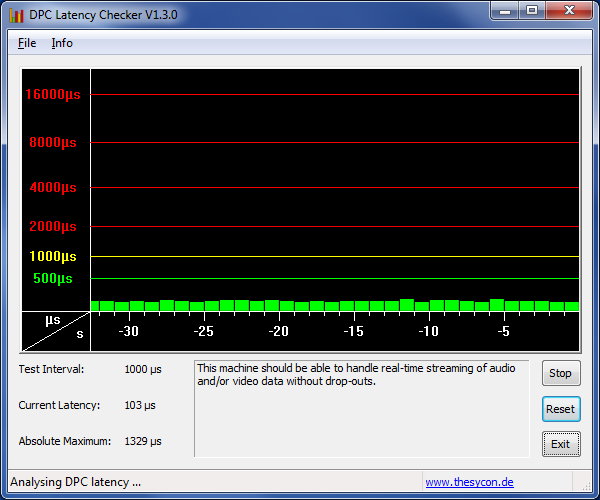 Nevertheless, after repeated tests, it is indeed the WLAN adapter which is to blame on the E5430. 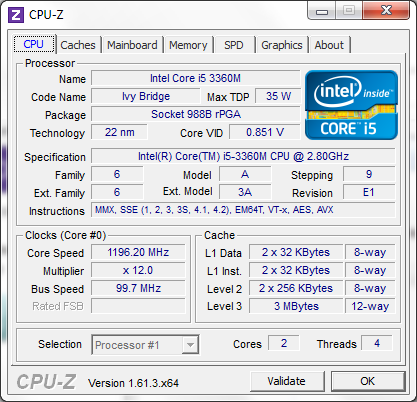 The Core i5-3360M CPU’s performance rivals even the fastest dual-core Sandy Bridge CPUs. In our synthetic benchmarks, we witnessed scores comparable to the Core i7-2640M in most categories, and consistently higher than the Core i7-2620M. Cinebench R10/R11.5 both tested the i5-3360M in our unit higher than the similar second-generation i7 CPUs, and the 3DMark 06 CPU benchmark agrees. wPrime places the i5-3360M squarely between the i7-2620M and i7-2640M, but the results are so similar (around 2.5% difference) that comparisons really don’t mean much. The bottom line is that the Core i5-3360M should provide more than enough power for just about any business user who’s looking to accomplish the essentials with their notebook, but it also shows no signs of weakness in terms of heavier tasks such as photo and video editing. 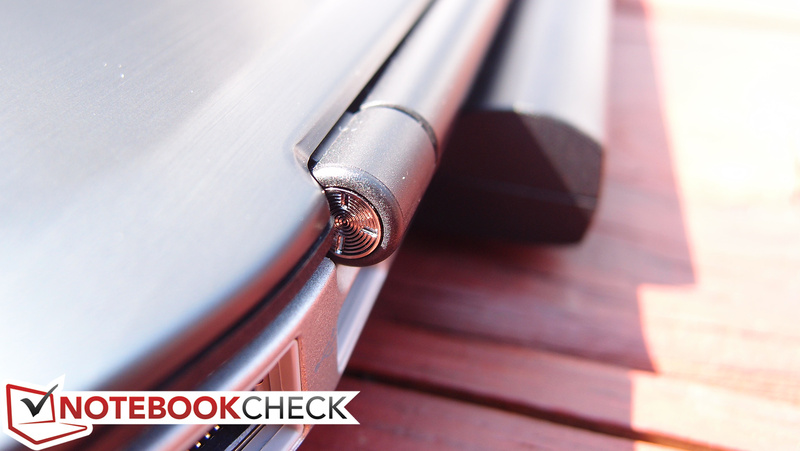 The closest notebooks in terms of specifications in comparison with the Latitude E5430 are perhaps the Dell Latitude E5530 (which we’ve already referenced heavily throughout this review) and the Lenovo ThinkPad L530 model we recently reviewed. 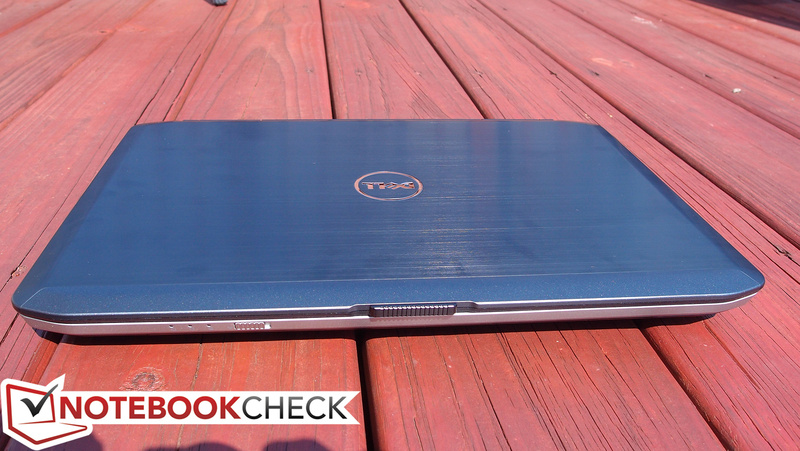 Both of these competing models are 15-inch notebooks, but it’s safe to assume that their 14-inch counterparts with identical specifications should post similar performance scores. As it happens, the E5430 matches (or comes in negligibly below) its E5530 bigger brother in most every benchmark. 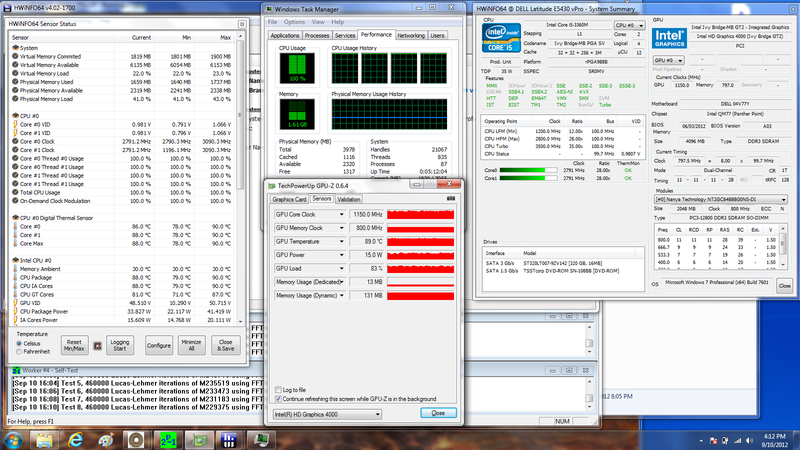 In turn, it thus also bests the ThinkPad L530 in every Cinebench test. 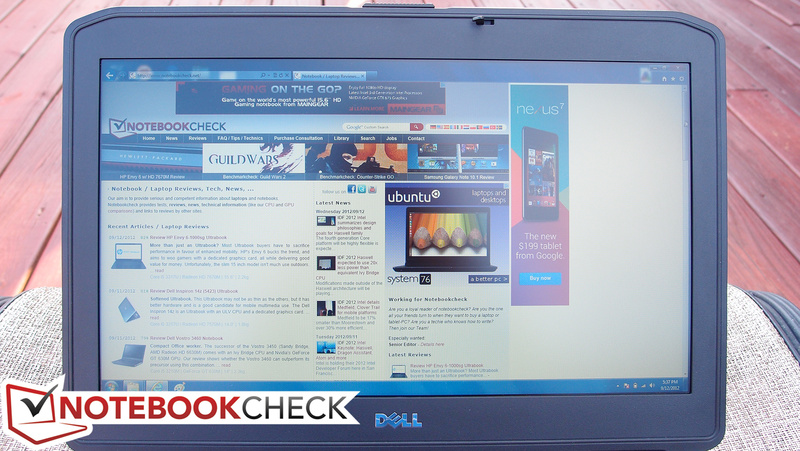 These are impressive results coming from a 14-inch business notebook with a “mid-range” CPU. The same applies to the Intel HD Graphics 4000 GPU, but perhaps to an even greater extent. This GPU has consistently proven itself to be faster than even the highest recorded scores of its HD 3000 counterpart in nearly every situation. This leaves little doubt that the notebook should be able handle most any low- to mid-range graphical task with no trouble. 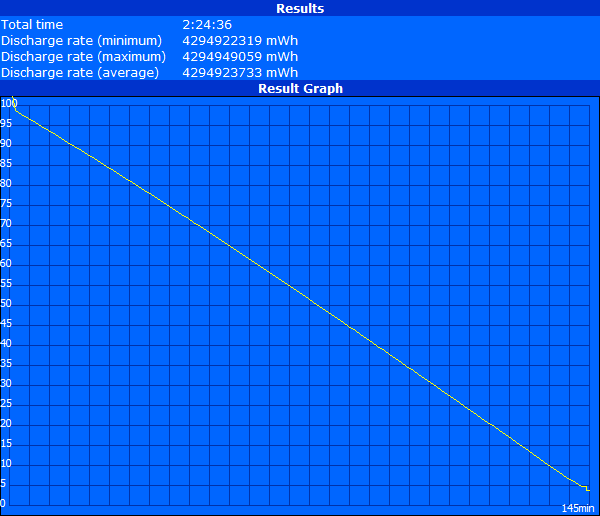 We also reran a couple of benchmarks while running on battery power to see if the results could change. 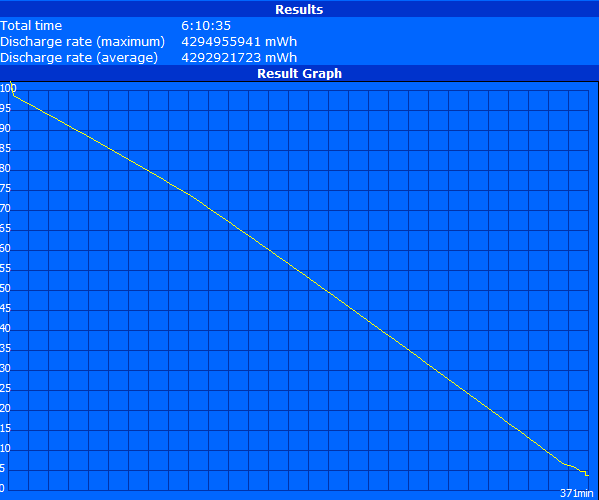 We actually recorded some slightly better scores while running on battery than we did on AC power (a 3DMark 06 CPU score of 4019 versus 4007, and a wPrime score of 508 versus 509 on battery power and AC power respectively), confirming that the laptop should be able to perform admirably regardless of power state. 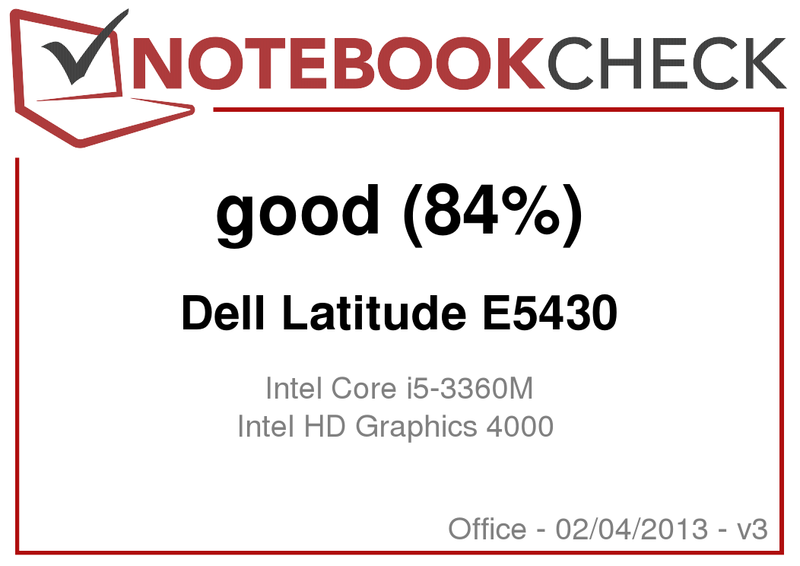 The Latitude E5430 was subjected to the same rigorous system performance evaluations as the rest of our test candidates, and that includes PCMark synthetic benchmarks. 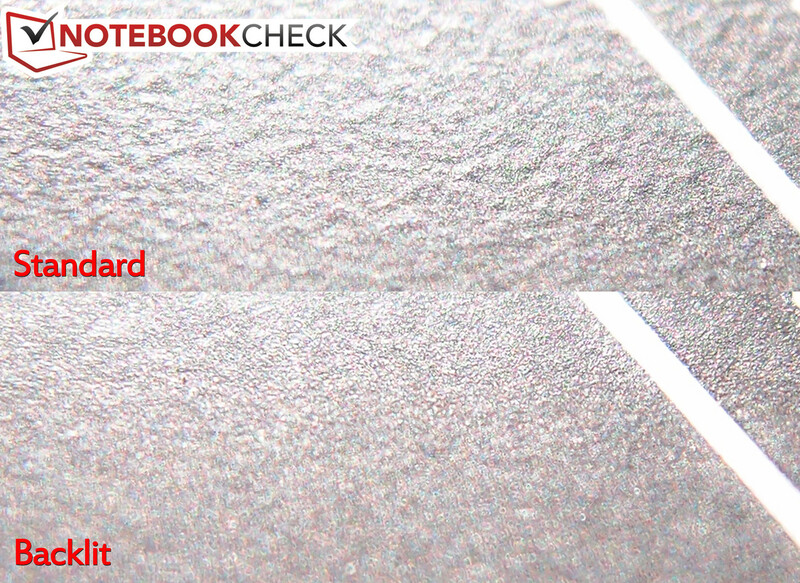 Here, the notebook continues to shine, turn in scores of 8011 and 3054 in PCMark Vantage and PCMark 7, respectively. 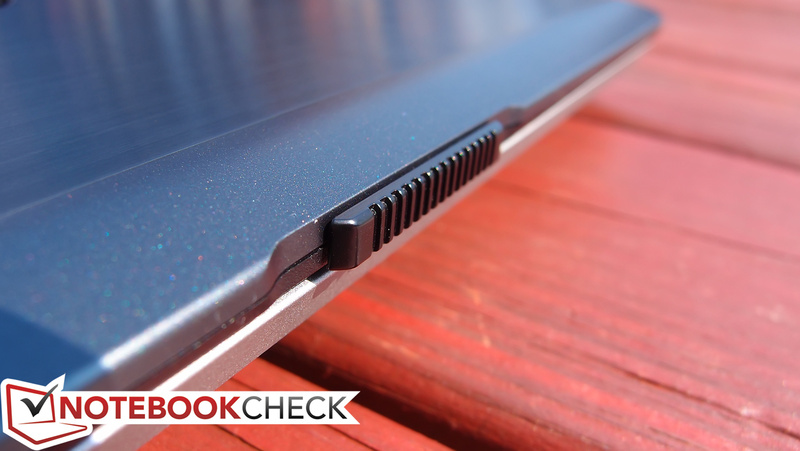 While the PCMark 7 score is actually a notch higher than that of the 15-inch Latitude E5530, the Vantage score of 8011 is 8% below that of the E5530 (which scored an 8720). Regardless, these are nonetheless impressive scores that should serve as encouragement no matter what your intended use. 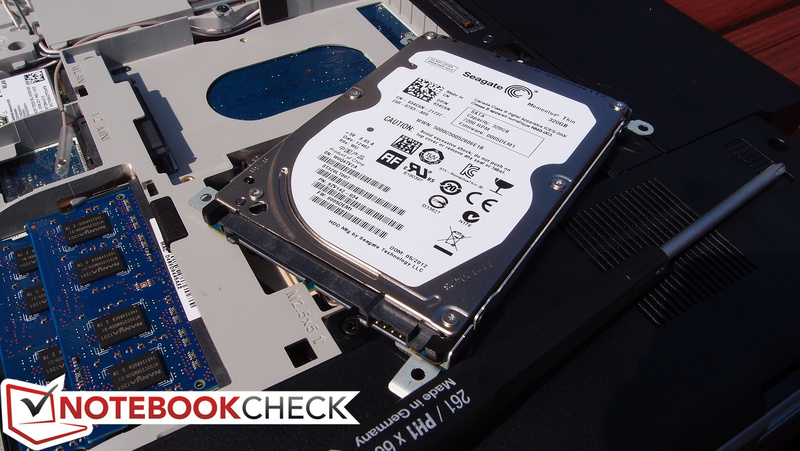 As is typical of our performance upgrade recommendations, the best way to boost these scores is certainly to replace the standard mechanical hard drive with an SSD. Since the hard drive is so often the primary bottleneck in modern systems (at least in terms of general productivity and application performance), this is most often the easiest one-size-fits-all solution to boosting the speed of otherwise capably-equipped models. However, as previously mentioned, if more RAM is desired, such an upgrade is extremely simple in this system, and with a 16 GB ceiling, the sky’s the limit. The Latitude E5430 can be outfitted with either a 320 GB (encrypted or non-encrypted) or 500 GB 7200 RPM hard drive, or for a little higher cost, a 128 GB Solid State Drive (SSD). 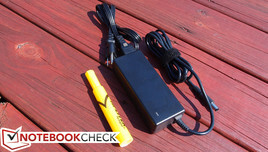 Our review unit came equipped with a Seagate Momentus Thin ST320LT007-9ZV142 7200 RPM 320 GB drive. Like the drive we received in our E5530 review model, this is a smaller, single-platter 7 mm-height hard drive that normally is meant for situations where drive size is a prohibitive design factor (such as in many ultraportables). 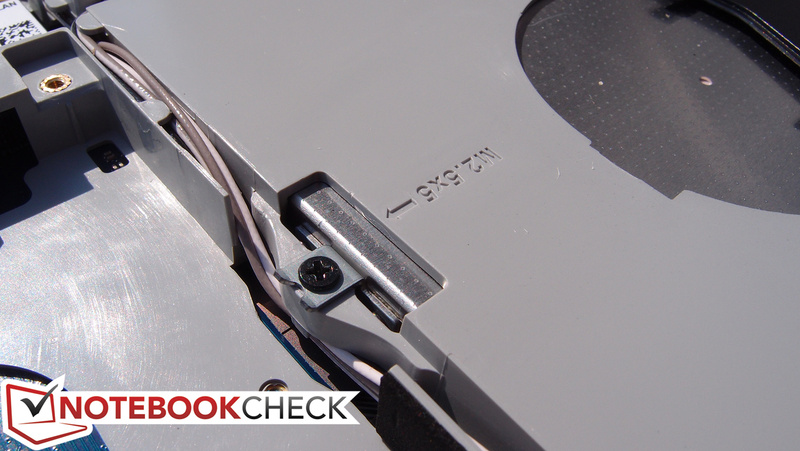 The E5430 actually features a fully-sized 9.5 mm-height drive bay, so any traditional SATA laptop drive will also fit. 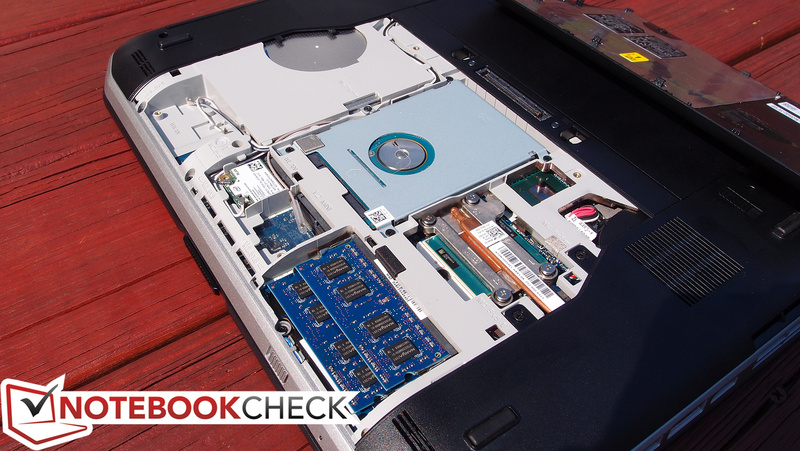 The Seagate Momentus Thin posted excellent speeds that rival some of the fastest laptop hard drives we’ve benchmarked. 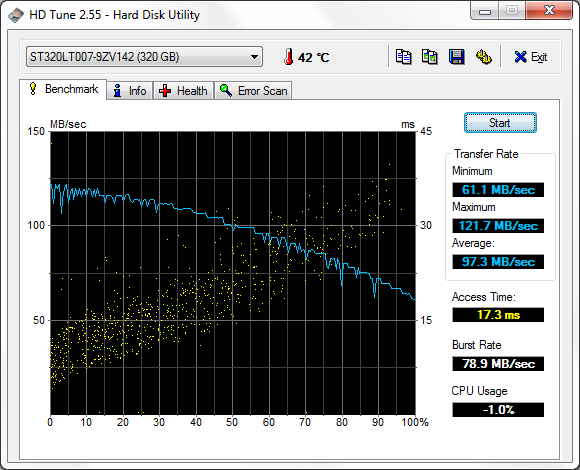 Its Transfer Rate Average of 97.3 MB/s puts it directly in competition with Hitachi’s Travelstar Z7K500, which is a fine drive to have in company. Meanwhile, the Access Time of 17.3 ms isn’t anything remarkable, but it’s not overly offensive either. The gist is that if you’re fortunate enough to receive the same drive, you can enjoy the comfort of knowing that you are working with one of the quickest notebook hard drives of its size. 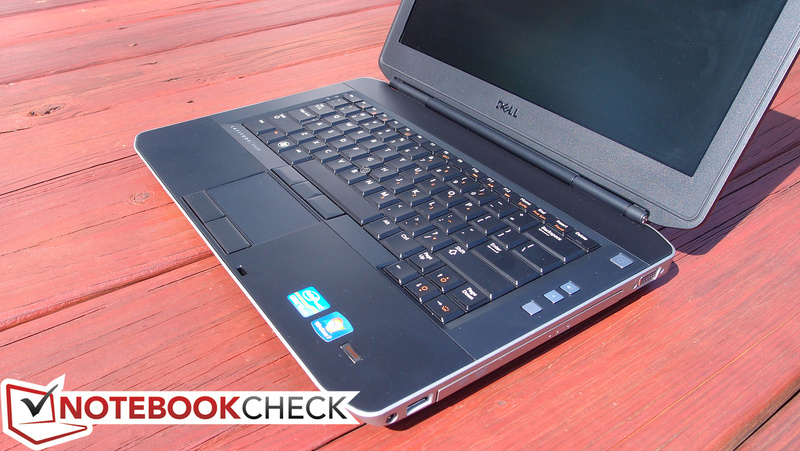 Also featured in all configurations of the Latitude E5430 is a Dell Fast Response Free Fall Sensor, which functions independently of the installed storage device (it’s a board-level feature) and helps protect the drive against sudden changes in the position of the notebook. 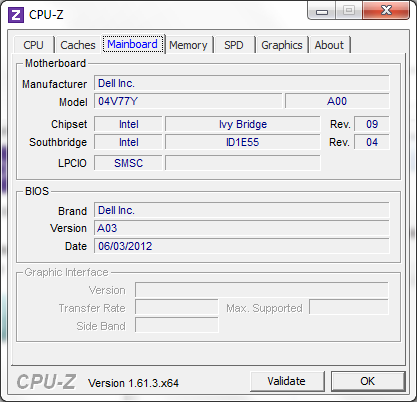 One of the most-discussed features of the Ivy Bridge chipset is Intel HD Graphics 4000, which you’ll find included with any mid- to high-end third-generation Intel Core CPU. While integrated solutions still can’t compete with midgrade or better discrete adapters in terms of performance, they are better in terms of power consumption and cost, and—at least in the case of the HD 4000—they come close enough to their lower-end discrete comrades such as to render them quite enticing for many users. The Latitude E5430 carries the torch forward with another round of impressive graphical benchmark results for a machine restricted to an integrated GPU. Though these machines certainly aren’t built for gaming, our tests prove that the HD 4000 is no slouch should some low-end gaming still find itself on the agenda. Embracing our obstinate addiction, we tested Diablo III’s performance on the Latitude E5430 to see how it compared to our previous tests and those performed just weeks prior on the E5530. While admirable, the results didn’t vary materially from our E5530 venture—just a couple of frames per second here and there, which is an insignificant difference that could be attributed to any variety of factors. In terms of hard numbers, this translated to an average of 28 frames per second on high and 36 frames per second on medium settings, both certainly palatable values for a business notebook. Provided you don’t expect top-shelf performance on high settings, the Latitude E5430 ought to be able to handle whatever lightweight gaming episodes to which it’s subjected. Again following in the footsteps of its larger brother, the E5430 can get quite loud under load. But also like its sibling, it’s rare that it reaches this point. Under most circumstances, when idle, the machine is nearly silent with an average noise level of just 32 dB. It’s when the system is heavily stressed that things become a little more questionable, with maximum noise under load reaching as high as 49.4 dB. Fortunately, the median load volume is still just 34.5 dB, indicating how infrequently this actually becomes a problem. Furthermore, it’s worth mentioning that if the noise does happen to become too annoying to tolerate, it’s always possible to select one of the specially-tailored power plans Dell has included—such as Quiet (Reduced Fan Levels)—to force the machine to operate at a lower volume at the expense of some performance. Amazingly, with a few exceptions, the Latitude E5430 actually manages to stay cooler than the larger E5530, even with the same CPU and other basic components. Following an hour of simultaneous CPU and GPU stressing for a full hour using Furmark and Prime95, the underside of the notebook reached an average temperature of just 35.6°C, which is nearly a full degree lower than the E5530’s temperature under the same conditions. This renders the notebook comfortable for use on the lap even when under load in most situations. While the problem temperatures manifested themselves on the bottom of the E5530, however, the opposite is true of the E5430: now, it’s the top of the notebook which sees the most escalation in temperature under stress—specifically, the left palm rest (incidentally, just above the CPU), which reaches a thoroughly uncomfortable 46.2°C under such circumstances. However, unless you’re planning on long gaming sessions or video rendering while resting the notebook on your lap, there probably isn’t much to worry about. 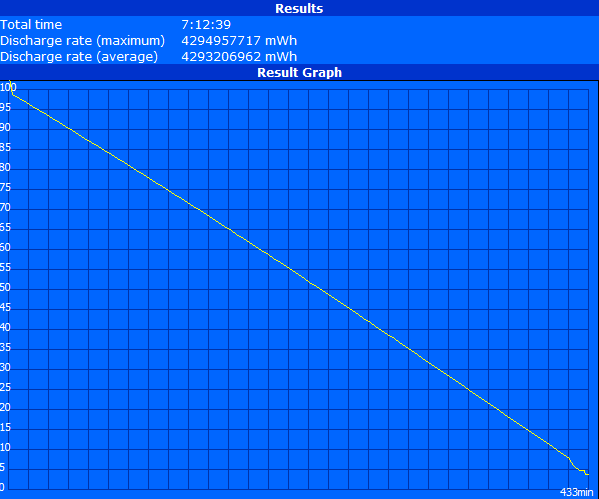 Case in point, the notebook’s idle temperatures are fairly low at just above 30°C. It should be more than suitable for comfortable business use, whether on the lap or desk. (+) In idle usage, the average temperature for the upper side is 31 °C / 88 F, compared to the device average of 29.4 °C / 85 F.
(-) The palmrests and touchpad can get very hot to the touch with a maximum of 46.2 °C / 115.2 F.
(-) The average temperature of the palmrest area of similar devices was 28.2 °C / 82.8 F (-18 °C / -32.4 F). 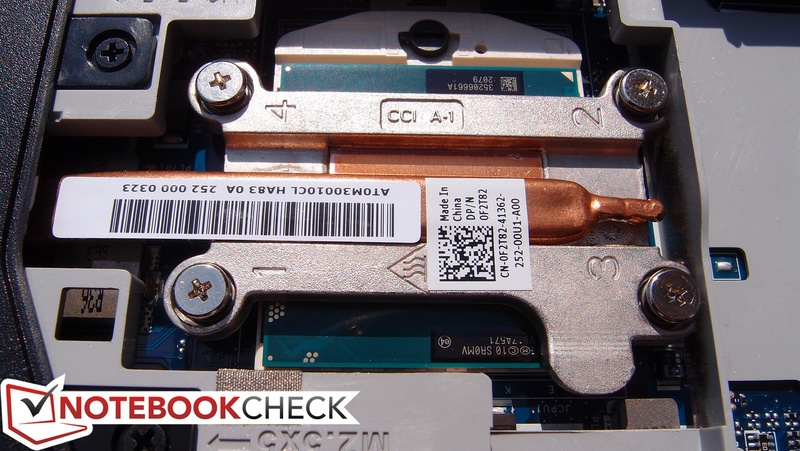 Part of every review we assemble includes a system stress test to check for throttling when the CPU and GPU are stressed both simultaneously and independently of each other. 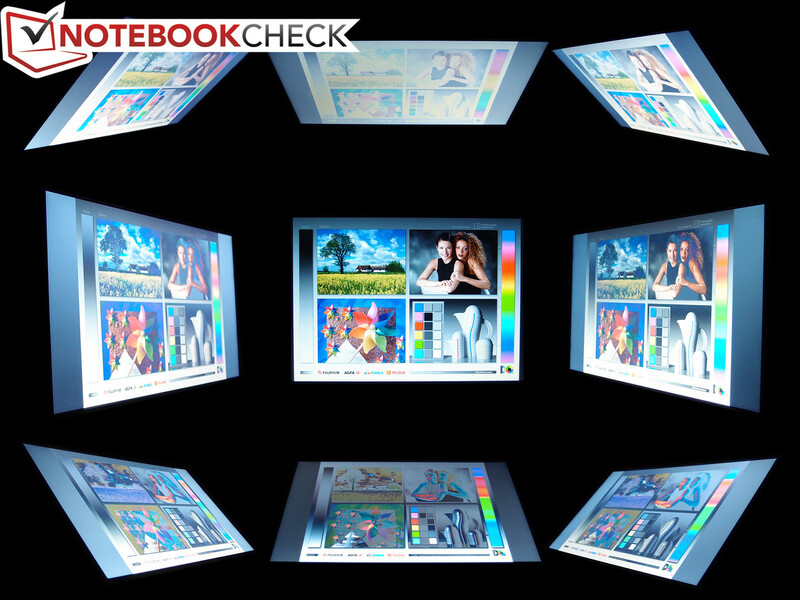 Such testing simulates the use of the system under maximal load, a situation which few users will ever experience but which still provides useful insight into the stability of the notebook. We perform this testing with the help of Prime95 and Furmark. During our throttle testing of the E5430, when either CPU or GPU were stressed independently, temperatures remained reasonable and no throttling (and very little wavering of the Turbo Boost frequencies) occurred. 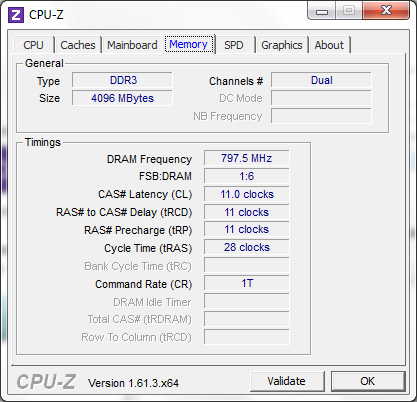 The situation was somewhat different when both were stressed together: the CPU clock rates still generally hovered around the multi-core maximum of 3300 MHz, but GPU wavered a bit more noticeably around the 1100—1150 MHz mark. Nevertheless, this is still very close to the absolute maximum Turbo Boost frequency of 1200 MHz, and this is much better than the E5530 fared under these same conditions. To get an idea of how much better the E5430 handled the challenge than the E5530, take a look at our corresponding screenshots for Full system stress on both articles. 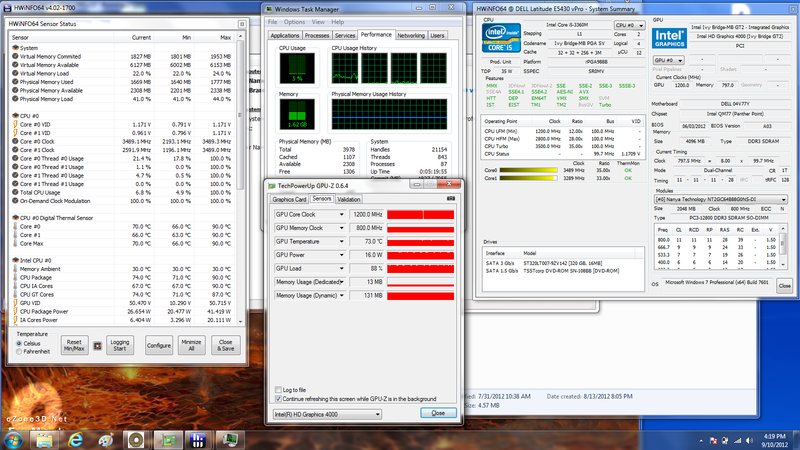 Compare the red graph for the GPU Core Clock and you’ll witness the faltering Turbo Boost operations in action. Notebooks which do not exhibit hardship maintaining maximal Turbo Boost frequencies for lengthy periods of time will be less likely to exhibit performance hiccups during heavy gaming and other stressful situations. To be certain that the E5430 was not adversely affected by long periods of heavy use, we performed another benchmark run of 3DMark 06 directly after our full system stress test of over an hour. The score of 5658 confirms that very little (if any) residual performance detriment results from heavy stress on the E5430. 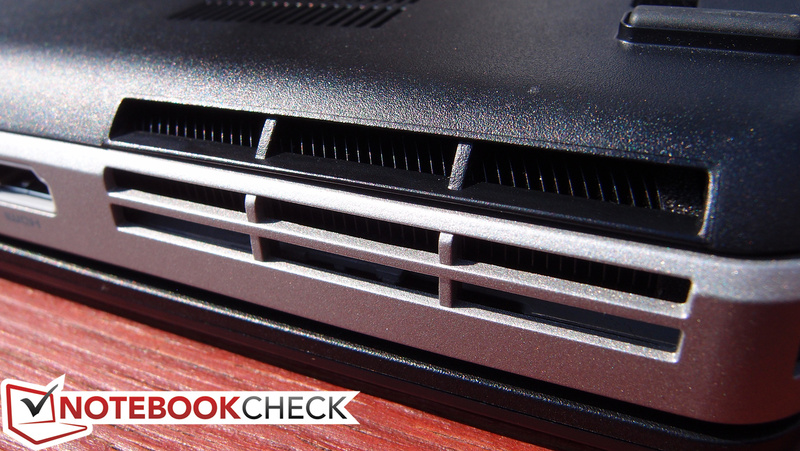 As is the case with nearly every business notebook, the Latitude E5430’s dual speakers provide only the bare minimum audio performance. While higher frequencies are clear, there is very little low frequency response at all, at the sound as a whole is consequently somewhat flat. 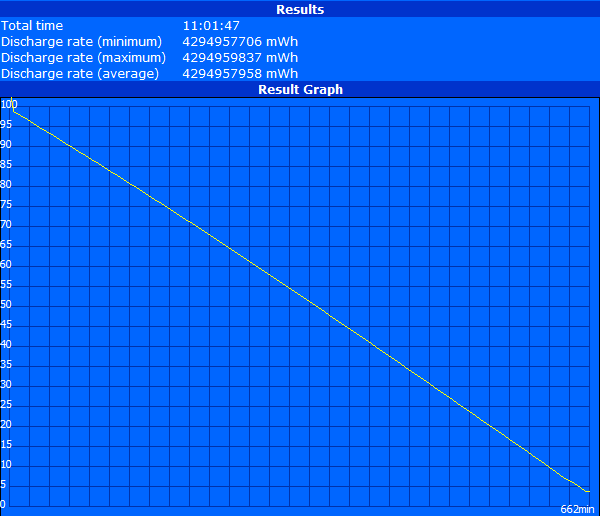 Overall, though, it’s not terribly bad for a business notebook. 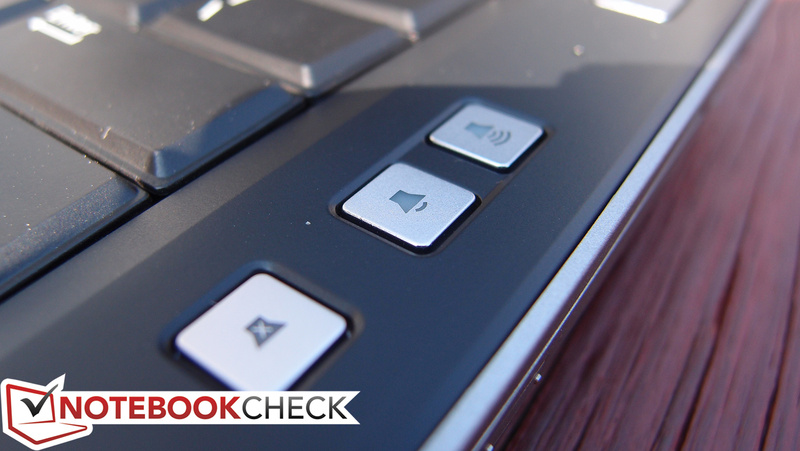 The sound is notably improved when the notebook is resting on a hard surface, a result of the down-firing speaker design that leverages the acoustics of the surface to project the sound. 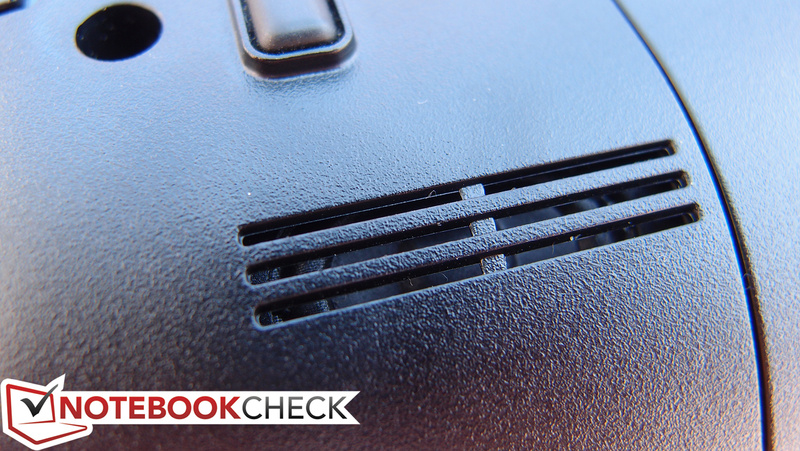 Unlike speaker quality, good battery life is a must on a business machine. Fortunately, our E5430 review unit, augmented by its 97 Wh 9-cell extended battery (whose form factor protrudes from the back of the notebook), had no trouble skating through our battery tests in style. Before we get to our results, let’s cover the various battery options which exist for the E5430. Not much has changed from the previous generation: you have the choice between the 97 Wh 9-cell battery we received or, at the benefit of reduced size and weight, either a 6-cell (60 Wh) or 4-cell (40 Wh) battery instead. 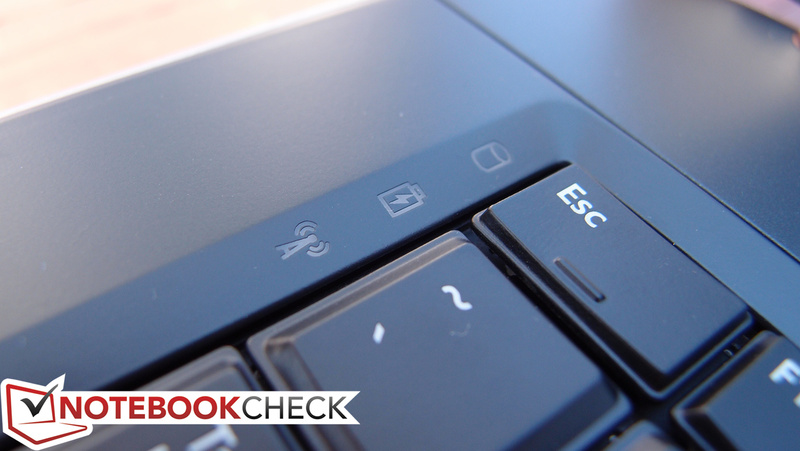 All three of these options include a feature called ExpressCharge which Dell uses to denote circuitry that allows the battery to charge more quickly than normal. ExpressCharge batteries can increase to greater than 80% charge in just around one hour of charging, and fully charge the rest of the way in around two hours total. The other two battery options available for the E5430 don’t feature this ability, but are equally interesting depending on your goals: an 87 Wh 9-cell battery with a 3-year warranty and a 97 Wh 9-cell slice battery which attaches to the docking port on the bottom of the notebook. So, what does all this buy you? Plenty of runtime in this case. To reiterate, our review unit received a standard 9-cell battery, and we were impressed with the results. One of the first items we tested was minimal system usage under nearly-idle conditions via the Reader’s Test in Battery Eater. Before testing, as always, we fully charged the unit and disabled sleep, hibernation, screen and hard drive timeouts, and all wireless radios. Under these conditions and set to the “Power Saver” power profile, the notebook stayed alive for an exceptional 11 hours and 2 minutes. Next, we enabled all wireless radios, set screen brightness to the highest level, and enabled the “High Performance” power profile. We then initiated the Classic Test within Battery Eater to simulate heavy system stress. In this instance, the notebook endured a still commendable 2 hours and 25 minutes. 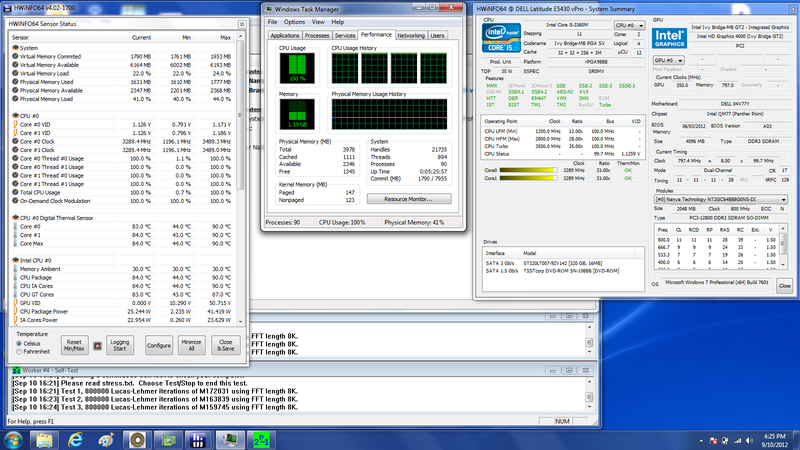 Finally, we performed two more tests to check the notebook under more likely conditions. Our real-world battery test consists of setting the notebook’s power profile to “Balanced” and setting screen brightness to approximately 150 cd/m² (level 9 of 15 on our test unit). We then run our Notebookcheck web surfing script, which simulates typical internet browsing behavior across a variety of different (and dynamic) web pages. Here, the notebook remained alive for 7 hours and 13 minutes, which ought to be plenty of time to get some work done under comfortable notebook brightness and performance settings. The last test is our DVD playback test. Here, we maintain the same settings as the real-world battery test, but rather than surfing the internet, we loop a DVD until the system gives out. The E5430 managed 6 hours and 11 minutes of movie playback from a DVD. 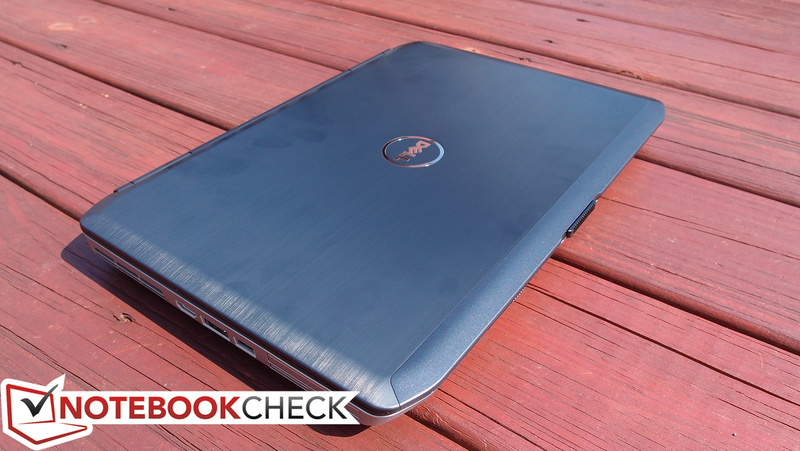 Early last year, our review of the Dell Latitude E5420 expressed our appreciation of its sturdy construction, first-rate keyboard and touchpad, great battery life, and practical design—elements which have become synonymous with the Latitude brand. Still, we were left dreaming of a higher-quality screen, less noise under load, and USB 3.0. Does the E5430 answer our call? Suffice it to say, the Latitude E5430 is yet another step toward affordable perfection in the business market. It represents an intelligent balance between luxury and economics, focusing on the areas which matter most and skimming over some of the more robust details championed by the upper-echelon Latitude E6XXX series. It improves upon its predecessor by adding USB 3.0 (2 ports) and extending the battery life while simultaneously improving performance—even in the graphics department, which continues to impress with the help of the Ivy Bridge-based Intel HD Graphics 4000. Regardless, there are a few areas where the E5430 still falls short. The first is display quality; while our upgraded 1600x900 HD+ panel is certainly adequately bright for even outdoor use, the contrast ratio and color spectrum leave much to be desired. It’s also still quite a loud machine, reaching disturbing decibel levels under moderate levels of stress (though this behavior can be adjusted at the expense of some performance using Dell’s built-in power plans). And finally, the weight—while partially a factor of the heavier-than-usual build quality—is more prohibitive than that of many competing 14” notebooks. Ultimately, though, provided one can overlook these relatively minor shortcomings and the lack of the premium finish bestowed upon the E6XXX series, the E5430 is an obvious choice. 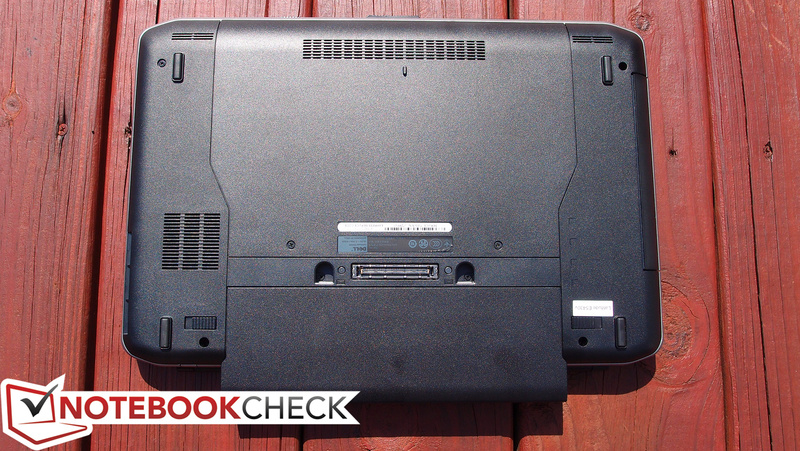 Competitors such as the Lenovo ThinkPad T430 and L430 will probably give it a run for its money, but it’s hard to go wrong with the E5430 in any case. The backlit option is worth it. ...WLAN/WWAN, and hard drive (not pictured here). ...thanks to a zinc-plated hinge. ...but there's nothing wrong with that. ...will be appreciated in the long term. The bottom panel provides easy access. ...provides power to match its considerable size. This is a business user's best friend. 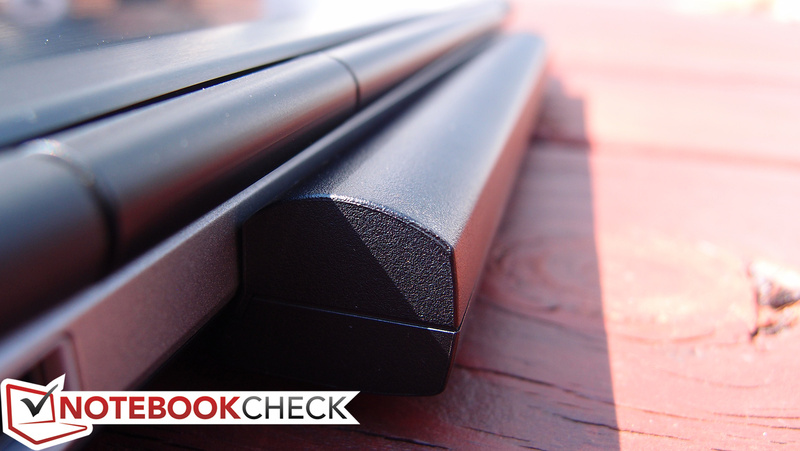 A smartly-designed notebook that clearly knows its place in the business market. All of the essentials are covered. 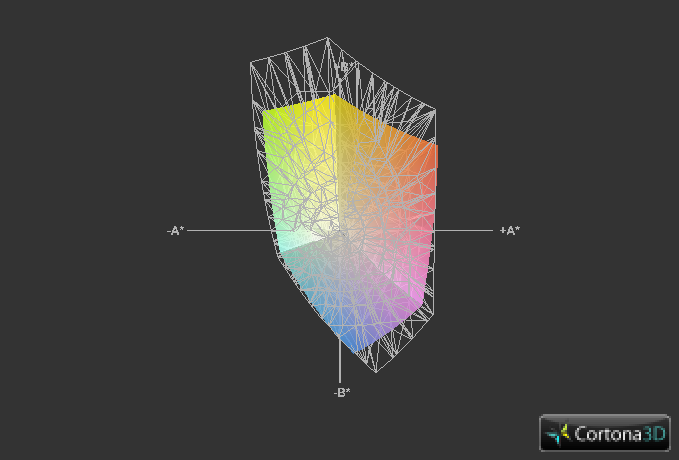 Less noise and heat under load and perhaps an option for a better-quality screen with equivalent or better brightness. The fantastic battery life coupled with performance that shatters expectations, even on the gaming front.